Some presentations are built around downright captivating subject matter. Think about the most successful and shareable TED Talks you’ve seen floating around the internet—not only are the speakers powerful, but the title alone is usually enough to earn a click. The top talks cover topics like human psychology, happiness, creativity, physical health, leadership and many more. But let’s be real: Not every presentation starts with a TED Talk-worthy premise. Sometimes, you’re simply in charge of presenting dense, technical, data-heavy or otherwise “boring” information to an audience. While the key points may not be flashy, they’re still important to convey. One example in this realm would be a compliance training session for a group of employees. Try these four strategies for livening up “boring” presentation topics, meant to help maximize audience engagement and retention of the most vital takeaways. Simply put, people care more when they understand how information relates to them. Sure, the topic you’re presenting on may be legally or organizationally important, but people are inevitably wondering how it relates to their lives or professions. This is why one training expert believes information resonates more “if you tell [people] WHY it benefits them.” In other words, assume people are operating on the principle of “what’s in it for me” (WFIIM). Approach the task of designing your presentation from the angle of reinforcing viewers’ personal connection to the information at hand. Emphasize how they can actually use the content you’re presenting. 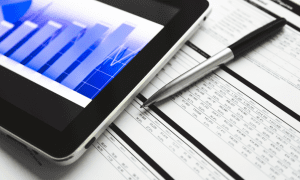 Highlight the benefits of staying invested long enough to learn and retain what they’re saying. In other words, center your audience so they know what they have to gain by paying attention. The good news is that you can incentivize people to engage, no matter the specific topic. How? By turning learning into a fun, interactive game of sorts. Using an audience response system like Poll Everywhere, you can make your own quiz and embed it directly into your presentation slides. Participants can then use their mobile devices to answer multiple-choice questions for points throughout the session. Introducing a friendly trivia competition element into an otherwise straightforward presentation gives people a reason to follow along. Racking up points is a fun way to use stakes to promote learning. Real-time quiz questions also reinforce correct answers as you go, helping people remember what they’ve learned and clear up any misconceptions immediately. When you throw too much theory at people, they’re inevitably going to tune out. Even the most diligent learner has their limit. If people feel like they’re reading a textbook when they watch your presentation, they’re going to struggle to care about what you’re saying at best—or straight-up disengage at worst. This is precisely why it’s so important to bring every principle to life with an applicable example. Instead of depending on theory to get your point across, go one step further to demonstrate what that principle would look like in a real-world context. This is especially helpful when you’re training employees. Lectures are predictable. They set the precedent you’re going to talk at your audience. So, subvert expectations. Introduce a handful of constructive lecture breaks—like small group discussions, video clips, anecdotes, stretching breaks, etc. 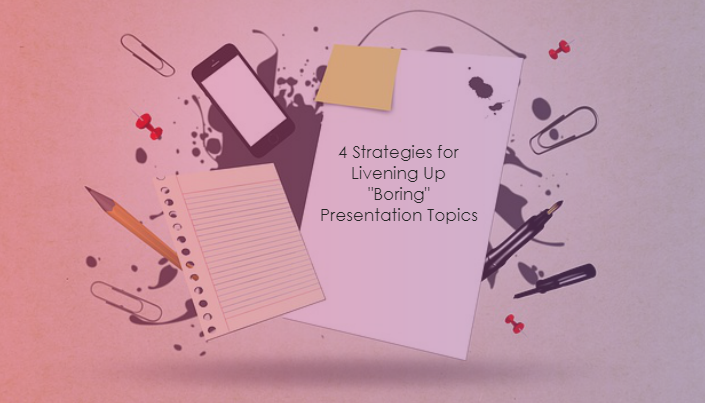 These four strategies will help you liven up even the most “boring” presentation topic, encouraging your audience to engage and stay that way throughout.